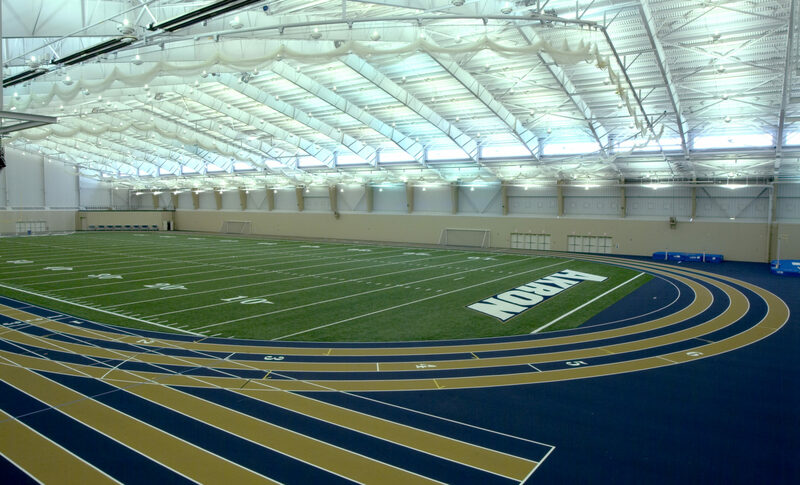 The University of Akron’s Athletics Field House is a 144,000 square foot building that is connected to the Recreation Center and is an impressive addition to the “Landscape For Learning” initiative. 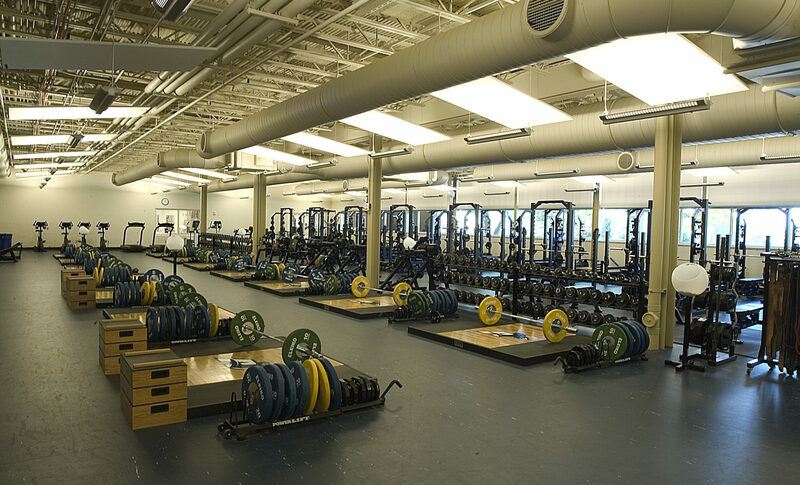 The Athletics Field House is one of the most innovative of its kind, boasting a 1,000-seat spectator area, a full 100-yard turf sports field, a 300-meter rubberized track, batting cages, pole vault pits, medical facilities, and one of the most extensive weight rooms on college campuses today. 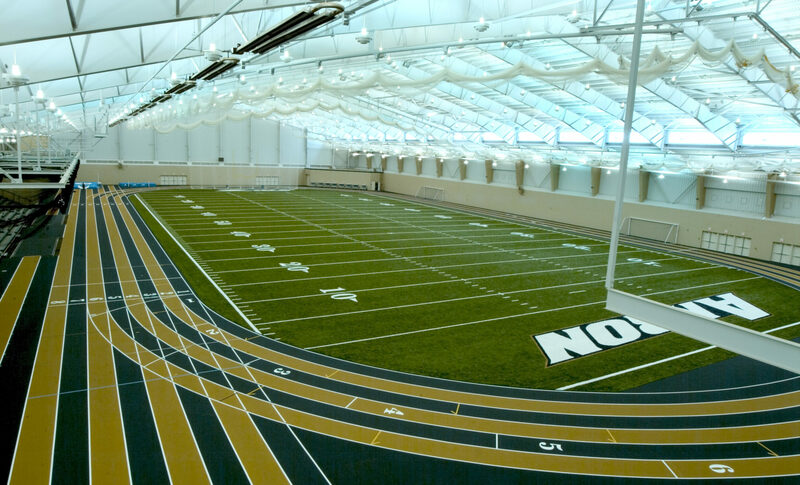 The Field House also has an indoor golf training facility, which at the time of completion, was one of only two in the country. 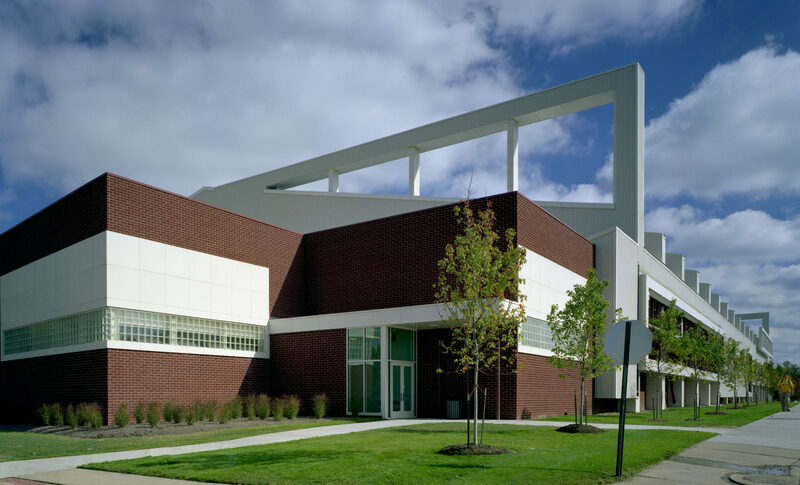 The total cost of this project was 17 million dollars, which was within the budget and completed for the 2004 school year.